With over a third of the American population being obese and almost the same amount being overweight, there is no doubt that obesity is a national epidemic that needs to be curbed. Getting on the right track often starts with learning which foods to avoid when obese or overweight. Eating right can drastically improve the increasing weight problem. Many health experts agree that our diet is the main cause for obesity. While exercise does play an important role in weight lose, a large percentage of what we actually need to do to see improvements come from a well balanced diet. But you can’t completely eliminate exercise altogether. Even if you can manage 30 minutes of walking on a oversized treadmill a few times a week. Doing this and cutting out the bad foods may prove to be very rewarding down the track. 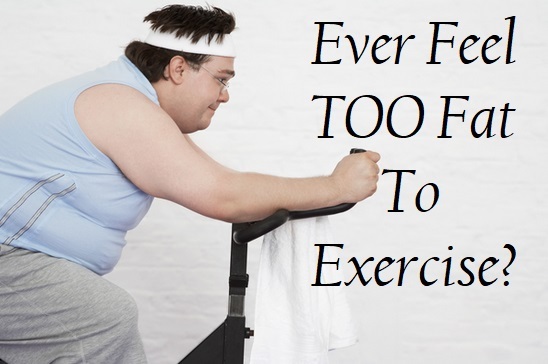 But it’s not easy to exercise when you’re obese, I’ll be the first to admit that. The little exercise you do seems to have little to no results. But what I’ve found is that too much of the bad foods and not enough of the good foods basically cancels out any exercise that I’ve achieved for the week. So essentially I am going backwards even though I am exercising 3 or 4 times a week. 5 Alcohol- Especially Beer – Oh No! If I told you that you can have a healthy lifestyle by avoiding or limiting certain kinds of food and drink, would you agree? If you agree, then you are already in the beginning stages of improving your chances of a healthy comeback. Below we will take a look at 10 foods to avoid when obese and also some healthy alternatives so that you don’t feel like you are giving up on everything cold turkey. Even though all foods contain calories, some have much higher calories than others. If you take in more calories than your body burns in a day, you gain weight. But if you take in less than your body burns you lose weight. This is what weight lose ultimately boils down to. It is 100% possible to lose weight as an obese person without exercising if you have a balanced diet. This makes food critical for weight loss or gain since it is the way we get calories in our body. To lose weight fast, one needs 70 percent diet and 30 percent exercise. This shows that eating healthy is the key to lose weight. If you’ve got your mind made up and you’re ready to take a giant step to change your lifestyle to a healthy one, then here are 10 foods you should avoid when obese. Apart from the supply of energy, sugar is nothing more than just additional calories to your diet, with no nutritional value like minerals, proteins, and vitamins you need for a healthy body. Sugar spikes our blood sugar and in the long-term leads to obesity and other health problems such as diabetes and of course dental problems. Replacing sugar with raw honey where possible is a great substitute. Raw honey wouldn’t spike your insulin and also it has some nutritional value such as amino acids, vitamin, and minerals. Bread and pizza are mostly made from refined grains which are high on the glycemic index and they can increase your blood sugar levels which leads to weight gain and even type two diabetes. By avoiding refined grains and choosing whole grains, you can reduce the risk of cardiovascular diseases and type two diabetes. Because refined grains have been milled they lose the healthy ingredients such as vitamin b, minerals, antioxidants and iron. In some cases, products add these vitamin b’s and iron back into the refined grain after being milled. So it’s important to look for the word “enriched” on the packaging. Examples of refined grains include foods such as rice and foods made from white flour such as white pasta and bread. Eating from natural sources such as brown rice, yam, and sweet potato are considered a healthy source and an alternative to these refined grain since most of the bran and germ of the grain are removed along with the some of the nutrients, hence there are no health benefits but just high-calorie intake. Sugary drinks like soda are linked to weight gain and can cause disastrous health problems when taken in excess. With their high calories, our brains don’t recognize them as foods and often go back for more and more. They don’t don’t make us full and hence you will need more food to fill up which adds up to the calories the sugary drink already has. This increases the number of calories which leads to weight loss. I am guilty of drinking over 60 teaspoons of sugar in one night on a regular basis. I had no idea there was so much sugar in these drinks. If you want to know how much sugar are in soda’s, click here. This site has popular drinks and how many teaspoons of sugar are in each drink. It may make you rethink how much soda you drink on a daily basis. Drinking tea, coffee with no or less sugar, and water instead of these foods are great healthy alternatives. I know how ‘boring’ water is after drinking soda for 20+ years. But like any addiction, it only takes 20 odd times to break the bad habit. Did you know that 20 ounces of soda contain from 240 calories and above? Alcohol- Especially Beer – Oh No! Most alcoholic drinks contain more calorie per gram than most carbs. Beyond that, when you take in alcohol, the liver burns the alcohol first before fat hence slowing down your fat burning process. This makes taking excess alcohol adding up to weight gain and can also be really addictive. If you’re looking to have a healthy lifestyle, drinking alcohol in moderation is healthy and can lead to weight loss whiles, on the other hand, drinking heavily can cause weight gain. Being a beer man, it’s an ongoing battle to cut back on the drink I love the most. But when you look on the side of the can and work out how many calories 8 beers has in it and compare it to the amount of calories burned on the treadmill, realization kicks in. No wonder they call it a beer belly. A one hour session on the treadmill may only burn off the calories in a 6 pack of beer. So any additional calories for the day are all going to cause weight gain. You have to ask yourself, is the 6 pack worth it?. Eating fat shouldn’t be bad for your health and not all fats make you obese, but trans fat should be avoided. Trans fat can be found in foods like cakes, frosting, bacon and processed snack foods. Trans fat increases your bad cholesterol level (LDL) whiles decreasing the level of the good cholesterol (HDL). A good alternative to this is unsaturated oils such as coconut oil. They contain vitamins and oleic acid. Most fruit juices we buy and take into our body share nothing in common with their respective whole fruits. They contain sugar from juice concentrations and can contain the same amount of sugar and calories as there are in soda. Also, most fruit juices have no fiber. While growing up we are encouraged to drink fruit juices, but in reality it’s only doing us more harm then good if not in proportion with a balanced diet. An alternative to these juices are taking in whole fruits and water but if you still want some juice, then you should try some blueberry juice which has some nutritional benefits even though they contain high sugar. Canned soups, canned vegetables, and canned salty seafood contain a high level of sodium which is bad for your health. Sodium is essential to the body but when taken in excess, they retain certain fluids that prevent you from losing weight. I don’t know about you, but I don’t want to eat something that is actually going to stop my body from physically losing weight. Makes no sense at all. So another food item on the chopping block. The ideal sodium intake for an Adult is 1500mg. With a 3 ounce tin of salmon or tuna, you are looking at over 200mg of sodium alone. So you can clearly see the dangers of eating too much tinned food. Having a low-sodium diet such as fresh vegetables such as spinach and carrots. Fresh fruits such as oranges and banana are all low in sodium. These are a healthier alternative. Or look for lower sodium tinned food such as Spam with 25% lower Sodium. Well, if you’re a fan of this then this might be some bad news. Mayonnaise with a few health benefits such as sodium and vitamins, mayonnaise contains 80% fat which is bad for your health. One tablespoon of Mayonnaise contains about 124 calories. Which is roughly the same amount of calories in one full strength beer. It all adds up very quickly. Another sandwich topping you should avoid is avocado. Avocado is high in fat content with about 160 calories per 100 grams of avocado. A avocado sandwich with tinned tuna and mayonnaise can be quite the calorie intake. Some alternatives to mayonnaise are olive oil, puree or natural tomato paste. Beyond the sweet taste and scented smell, ice creams and candy bars are very unhealthy for you. They are mostly made up of sugar and fat. They are high in calorie and also, you can take in large amounts within a twinkle of an eye. Replacing ice cream with coconut Granita or even making your own low-sugar ice cream at home are some healthy alternatives. And for candy bars, taking fresh fruits or an all fruit Popsicle should be a sufficient replacement. We all know how fast foods and junk foods are bad for our health, but have you ever looked into how bad they really are? Most fast food adds no nutritional benefits to the body but rather, they add excess calorie and fat. Though they save time, they aren’t good nutrition for the body. Common ones may include sweet desserts, sandwiches, fries, fried chicken, burgers, pizza and many others. Fast foods and junk food cost little and taste great. But the negative effects include extra calories, insulin resistance, high blood pressure and high cholesterol. These all lead to weight gain and other health problems. Some healthy alternatives to these meals include homemade smoothies, homemade foods, and having a crust-free pizza. As much as you may love the foods above, it is worth sacrificing these ten foods for a healthy living and lifestyle and you can say a goodbye to obesity if such foods such as junks, soda, and ice creams are avoided. But I know its easier said then done. It’s called an addiction for a reason. Each one of these foods may have you addicted and breaking the habit is not going to be easy. So perhaps starting with just one food/drink initially will help you eventually lead to a healthier you. A family member of mine was a huge soda drinker, by cutting this completely out of his diet and replacing it with water made a drastic improvement in his weight. It can be done, but you must have the commitment and right mindset to achieve the goals you desire. Staying motivated to lose weight is one of the hardest things you can possibly do. But also a very rewarding feeling once you start kicking goals.